Are you feeling frustrated on your Life Journey and Need support? Are you an Artist who needs some inspiration? Learn how INTENTION and working with the Quantum Field can shift everything in your direction. 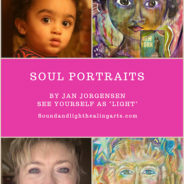 My audience loved Jan Jorgensen’s compelling presence! Warm-hearted and clear, she created genuine connection with the audience and between audience members. She was interactive and the energy in the room was rich and vibrant. What I loved about Jan was how she embodied what she taught, in every moment! I got such wonderful feedback from the audience after the event, I will truly be honored to have Jan Jorgensen on our stage again. Well guess what? Your healing session really worked. I awoke the next day and was ready to move. Things seemed clear. Approach it as a typical project. Start it and move. You have a talent. You unblocked my energies. Your powers are strong and pure. You have helped me so much.I have told 3 of my best friends about this experience Carry on Jan. You are one of the angels! So many call themselves “healers,” it’s hard to know who can be trusted. In the past few months I learned that Jan Jorgensen is the “real deal.” 13 months ago I fractured my spine in 2 places. My MD recommended a series of exercises and nutritional supplements and he gave me a prescription for pain-killers. For nearly a year I’ve hobbled around with a cane to maintain my balance. Sometimes my spine has curved over so fiercely that my torso has been nearly parallel with the ground. It was as though I was shrinking. After the second treatment with Jan I experienced a heavy weight being lifted off my spine, literally. I felt so grateful for the relief. I’ve gradually straightened up in the 5 weeks since the healing. Each day I notice I am straighter and stronger. Jan predicted my healing would take several weeks – and she was convinced my healing would happen, and so am I. My visit to you yesterday was amazing. I was feeling off as I told you and being led or drawn to you at your shop was magical. When you truly need something the Divine provides. 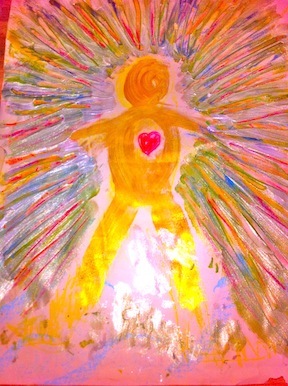 The energy I felt flowing through me was most healing. The rest of the day I truly felt as if I was in a dream. It was a wonderful experience! Thank you so much. I hope to come visit again soon. It has been a few days now and the profound experience of Sat. is still washing over me. On the physical level, I feel better, more energy. Emotionally I am still high. It is wonderful to recognize the beautiful people I have in my life and to feel their love. Thank you so much for the work you do. Margaret P.
Your Voice can be the Holy Grail of Truth we need! The Western Woman will lead the world home……. to sanity. She will do it first by talking around the kitchen table with other awakening women. As they share and speak there will be a growing sense of how far things have wandered from truth and goodness and then they will decide they have to do something. They will hold a circle, then a gathering. And then they will go out to speak to an authority for change. Guess what? The women will sit at the tables of “the authorities” at first. But the authorities are SO mired in the status quo details of the old programming their meetings seem fruitless, heartless and purposeless. So what do we do? We must take the reins of power into our own hands, or more accurately, our MOUTHS. We can trust ourselves to say the Truth. The Truth compass seems broken in the present media as special interests and mono-owned networks screech drama and broken systems day and night. But there is big Hope! Here in America on THIS day we can still speak up and paint, sing, or speak the Truth in empowering ways. And interestingly, it is the recent welling up of narcissistic leadership that has poked us into action. And the recent exposure of sexual-harassment has opened a new chapter in the media as well. There is movement occurring. It is inspiring to see 600 women attending the Indivisible Women meeting in Nevada City and the subsequent preparedness of members running for local office. Something BIG is happening. A stepping forward. 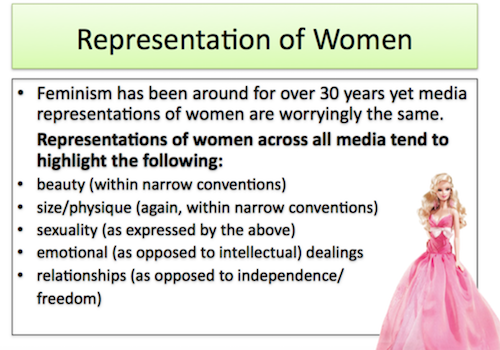 It is not that women have been excluded from the media…but the door is open only as wide as the status quo allows for how they look, act and report. But that is changing. Look at the POTUS spokesperson…a woman. But not a regular media woman. You know what I like about Sarah Huckabee? She speaks in an assured voice, no matter the content. She pauses, takes hold of the current of conversation and makes her points powerfully and unemotionally if emphatically. I forget she is a woman. What does that mean? it means she does not play to others in a way that emphasizes her need to be accepted by others, or demure or move or present her external self as an attractive vulnerable female as our society often expects of newscasters. She is an extremely powerful woman and gender-less. I do not agree with her but I respect her ability to hold her power no manner what. How often I turn on the news to see coifed, stiff, face-lifted heavily made up anchors in tight dresses with archetype feminine postures. That is all fine if that is their authentic choice, but are they being real or are they forming themselves into an acceptable template? Jacky Rosen, a Nevada Representative, caught my attention recently with her down to earth feminine frankness by stating that yes, it is the feminine wisdom that is needed. She says it right out. Hearing her speak after the Las Vegas shootings was refreshing and real, like a mother who is saying what we are all thinking. We must stop the NONSENSE, and get real. And see the social flows that are all created by righteous old standards that serve the wealthy and entitled. Enter this new vibration of Woman speaking from absolute certainty and Truth and we have a game changer dynamic at work. So just as I found that Susan B. Anthony had her safe house here in Nevada City before the final door opened…I invite all women here to challenge the system, speak up and get video-taped doing it. Share it with the world. 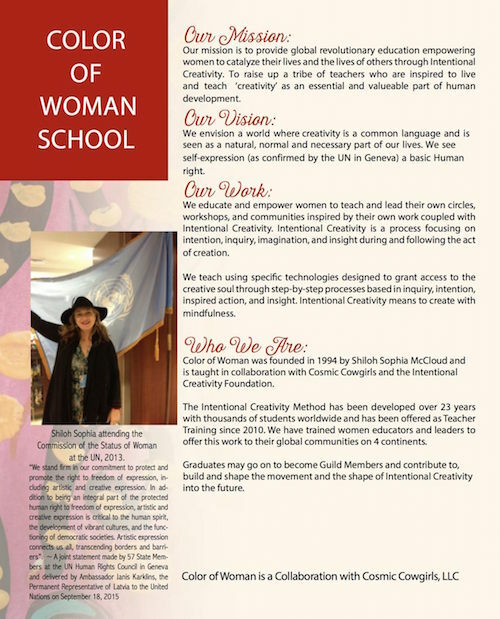 Looking forward to Teams of Women making inspiring videos to change our reality…Ramona Howard of NCwith the world. We still have that freedom for unbridled sharing of what is good and real and truth. Look at the locals, Devorah Bry helping women get IN their body, Franceska Alexander mentoring artists, Elise Henderson Parker leading powerfully thru events and radio. it’s a long list of revolutionaries right here in our midst. And we have the newly upgraded filming facility thru NCTV where you can go in and film anything, for free actually if you are a member. 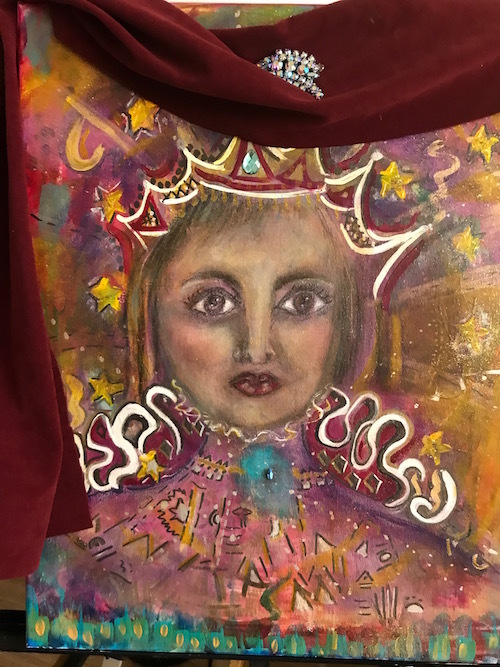 For my part….all of the years of studying the Vibrational field and how women’s Voices “give away” their power to self-doubt has led me to processes that lift-up and clear our voice of truth. Scientific Spiritual processes to light the torch of your Expressing and Delivering your message powerfully NOW to the world thru global channels. State your ideas, your teachings, and we can video-tape it for the world to see. Put your Voice on the computerized Portacle and see where you are leaking your power! 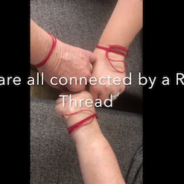 We are thick into the journey and lets support each other and grow collaborative circles of sane impassioned women forming megaphones of Truth. for….if Truth Be Told….all will wither that is not true, and life will prosper once again. 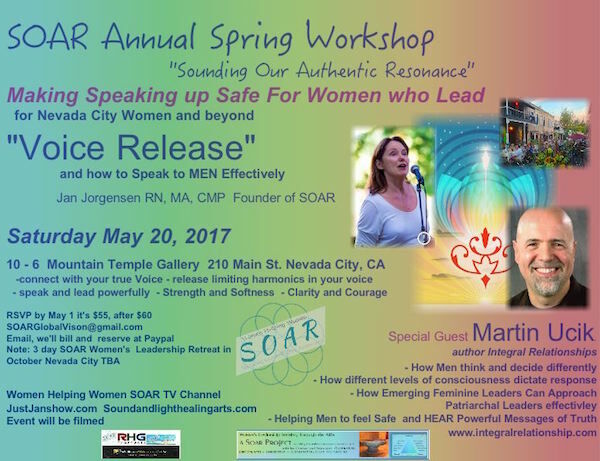 Jan Jorgensen Cercone is a Vibration Visionary, RN, CMP, MA, PHN, Founder of SOAR: Sounding our Authentic Resonance, TV Channel Owner with Host Training, Radio broadcaster and Author, she resides and works in Nevada City CA. 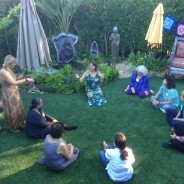 Sound and Spirit are combined in this simple yet powerful method I devised to clear the voice of fear and hesitation. Voice Release!! 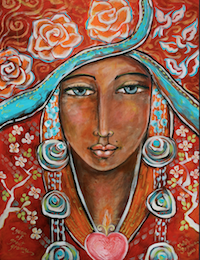 When we are in our authentic power, our voice lets the world know simply by the harmonics. But often, we also share our worries through our voice. 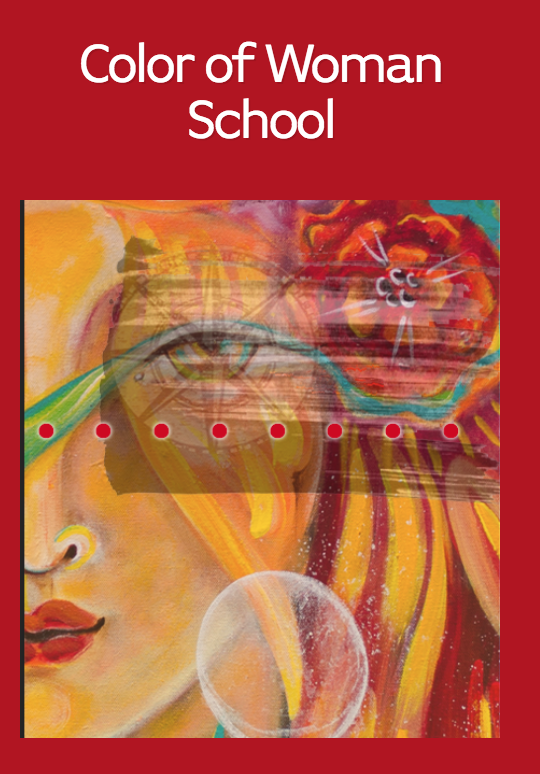 This method allows the subconscious vibrational harmonics to be re-set to a freer, more natural self-expression. and then words we have a loaded opportunity to do good, or not. Speaking is a voluntary activity that instantly aligns you with Divine Cosmic Energies. The zodiac forces are the consonants and the planetary forces are the vowels…so each word is an expression of cosmic formative forces…you are creating with your voice. The breath process ensouls us and we vibrate with all the galaxy when we speak even a simple word. Now that should inspire you to “lift” up your speaking to a place that is positive and life-enhancing. Each word counts. And the self talk we have in our heads is perhaps the most powerful. We are the children of our creator, and we do create with our free will. Align with the Divine and each day will bring miracles. 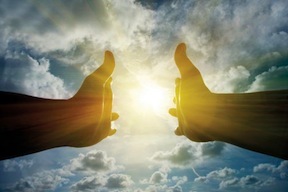 Use affirmations and begin the day with stating what you desire to give and get. 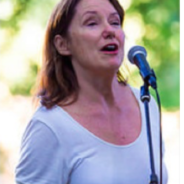 When working with Women and their Voices I see the connection of the underlying inability to sound their voice and tell their own truth and its effect on long term health. Shutting down the complete spectrum of ourself, or hiding our true self by not speaking the truth will make us weakened and eventually sick. It is this disconnect that has disempowered us. Computerized systems shows the C note is low among women who subjugate themselves over and over which correlates with thyroid disorders. Their immune systems fail. Cancer can take hold with no buffer of immunity. We know how we got here…. conflicting societal expectations and security needs, along with our childhood programming. But now is the only place we have choice. How to Find the Right Business Coach for Healing Practitioners when there are so Many Sales Pitches out there!! So…you are listening to spirit and walking your path now. You got your certification and are anxious to set up a practice and get going. But you find you are a bit perplexed by how to “sell” a God-given gift you have. You start looking around and see there are many business models and you are thinking…geez, do I have to do that? to get clients. You watch your friends, ask questions. Some of them are in high-end sparkly Coaching programs promising 6 figures and you are really turned off. Especially when they invite you to attend or sign-up as they benefit. Is everyone selling themselves out? Who can you trust? 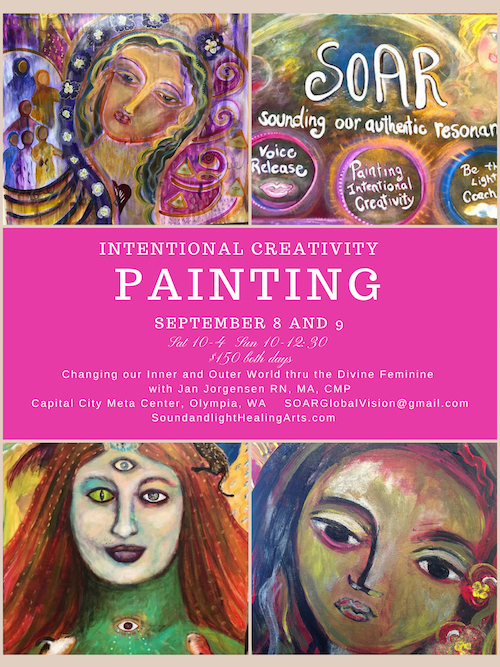 These last few years I began to investigate quietly this growing market for Emerging Healers and Artists looking for ways to create sustainability. It has attracted quite a few “sales-type” entrepreneurs who see the trend and these individuals have adopted the wording and specificity to speak to this market. Often, the marketing is fear based and shaming and when done in high-powered settings there is a “sign-up” or lose type mentality. It is exhausting, depleting and leaves everyone feeling the opposite of empowered. There are Coaches, like George Kao and Francois Levannier who had their own purifying spiritual awakening and deliver services from their mastery and goodness. There is Sahar Nafal who is creatively weaving together two worlds at once. She has crafted a business that delivers gold…she delivers Women to Themselves, in safe, supportive community through her gatherings and trainings and simultaneously has created her own successful business infrastructure. Perfect balance of the masculine focus and financial systems and the circle concept of inclusion, collaboration and feminine connection. I have been publically humiliated when I asked a simple question at the mike at training in Monterey. Anyone is prey to a person on stage “selling” their program while projecting problems and issues onto their participants. I recoiled as my question was distorted to make a “case” for her fixing solutions. People are commodities in these settings, examples. So if you are seeking to sustain yourself and want to choose wisely what do you do? 1. Ask questions. Ask your friends and associates the results they have gotten and how much it cost…financially and emotionally. 2. Attend events with an open mind and do not buy if you are not fully certain. Stay calm and do not get swept up into “buy today” pressured scenarios. 3. Set your budget for Business planning and Coaching. 4. Find your Style. Many of the weekend programs feature templates that do not work for your personal style or perfect clientele. 5. Go inside yourself often, meditate and create your “resonant tone” that will emit a question into the universe that will be answered affirmatively. It will come to you without pressure, bonus promises, deals or hype. 6. Find other successful practitioners and talk to them. 7. Be authentic and develop your own signature …then find the business expert or coach that matches you. We are all on a learning curve here so there is no right or wrong. No judgment. As I have seen a lot of people get into programs and learn a lot and grow, and then develop their own thing. Yet, there is the other side of spending too much and getting little from those that study specific pitching techniques. These producers then attract customers who spend their savings hoping to be filled with what they need and feel cheated and embarrassed to at a deep level. People talk to me. 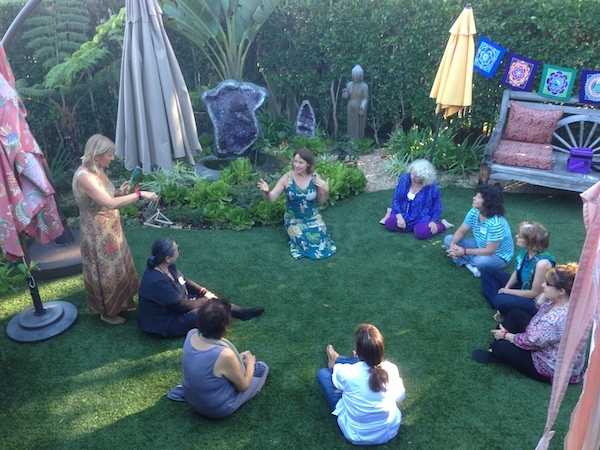 One gave an organization $100 to simple go hug a tree…all coached in the priestess-spirituality tradition of empowerment. These high-pressure self-proclaimed “specialists” are into the new exciting sales opportunities next year, finding a new market. Just watch their track records. So the answer is…. lets talk openly of what is happening by who and why. Look at the underlying intentions and ask yourself what is really valuable and works for the greater good towards reciprocal collaborative circle mentality? 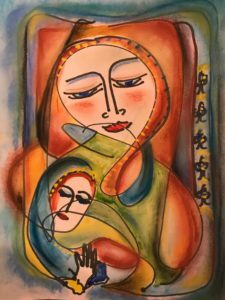 We are morphing from a top-down authority and money system into a more equi-lateral feminine model of sharing and caring. Nobody takes home all the money. The New Model..where everyone takes a turn sharing their Mastery…at affordable prices. 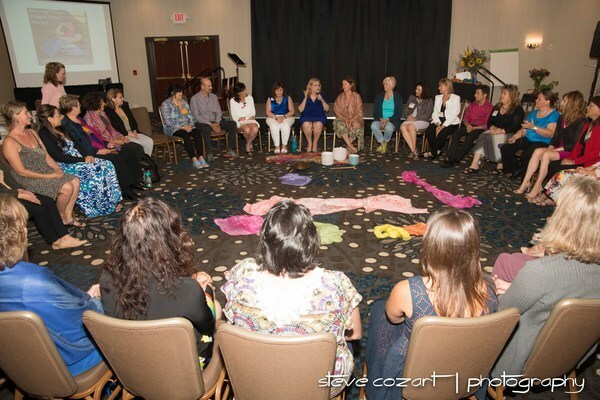 At our SOAR gathering 9-2015 ……and the Bright Side of Life with Sahar Nafal’s Community…in Circle, in Community Sept. 25 where I facilitated the closing circle where we married Business with Spirituality. The Perfect match of energy to move forward powerfully with our work and message. 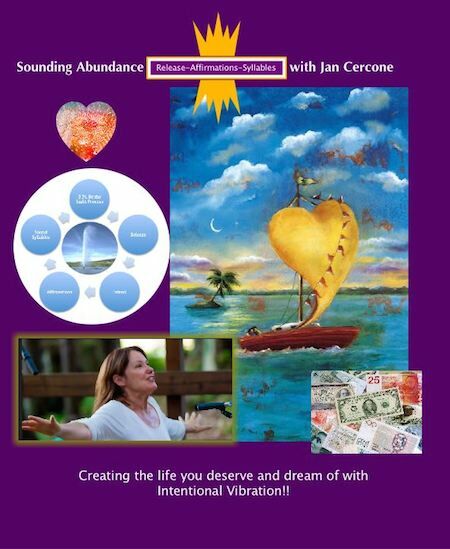 Jan Cercone is a Visionary Messenger working with those that are Awakening their Truth and Divine Essence to be of service in the New Paradigm. 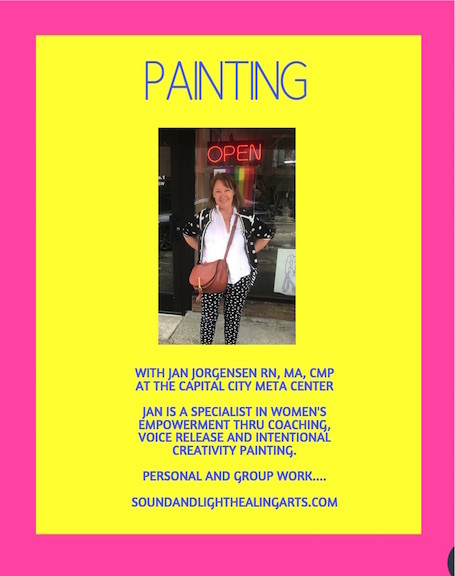 You can join her through Voice Release Workshops, Sound Circles, the SOAR leadership Program…Or become part of her Coaching Program for more personal attention. She is in Nevada City at the Light Loft, downtown Nevada City. Leave it to the baby boomer generation to figure this all out. We don’t want to age or not feel good. Is it really true we have a certain number of breaths in our lifespan? I don’t think so. Our generation has broken the container of limitation. Some of us are actually feeling younger and more full of vitality than ever. We now have science and meta-physics to support us. Yes, we now know that stress causes cortisol and it shortens lifespan and telomeres need lengthening! Toxins and poor eating and exercise habits top the list for most but there is something SO fundamental we sometimes Miss it. 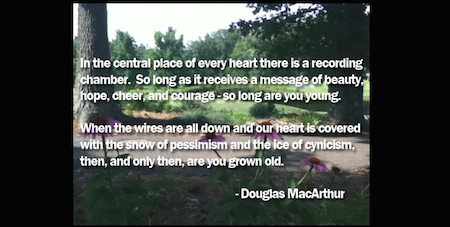 Our Very Thoughts about our body, our state of consciousness and the resultant thoughts are the true determinants for aging…or not!! It’s an inside out job! We can re-program cells to clear and regenerate!!!! We change our VIBRATION thru out thoughts to a new Harmonic Profile!!! ……..yet there are definite periods where I hit a wall of low vitality. Why? Because my thoughts drift into a different frequency band. I entrain with the general social consciousness bubble. Or drink a diet root beer. We need tools to “pop” out of our perseverative natures to focus on the fearful what ifs. 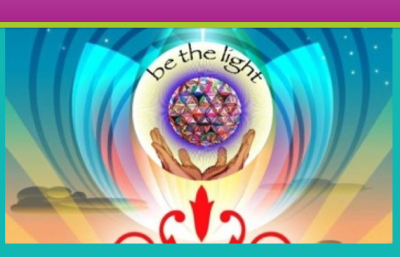 I developed the Be the Light Meditation process and in 10 minutes I can re-focus and re-set. Simply set a sacred space, call in my guides and make an intention. Never fails me. And I can direct energy to any organ, tension or thought field. My age and how I feel is my complete responsibility and creation, for better or worse! An ultra-sound confirmed that a 65-year-old woman regenerated, within two months, her uterus and right ovary which had been surgically removed when she was 30. A man with a gangrenous varicose ulcer was advised urgent amputation of the leg but went instead to the cell regeneration clinic in Moscow and recovered by 80% within one day. He was monitored by medical diagnostic equipment while undergoing the treatment. Another woman, suffering from diabetes, who had lost her eyesight, recovered her vision. Yet another woman discovered that her teeth had regenerated. 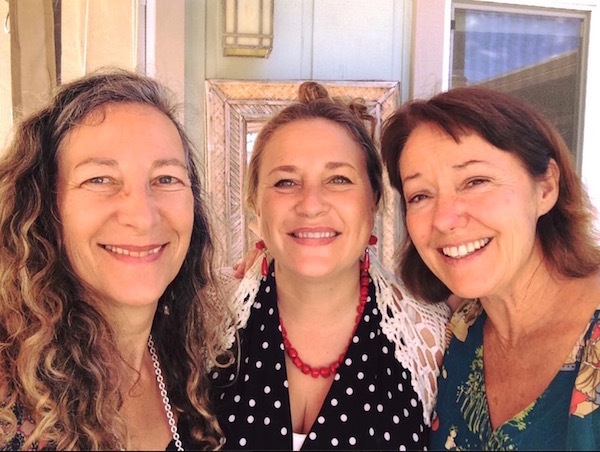 As a physician of energy medicine for many years in Australia, Dr Hazel Wardha (PhD, Monash University, Australia), naturally became curious about such dramatic outcomes. She consistently observed that the genetic program of a diseased organ could be altered to a positive state by transmitting certain energy frequencies with a strong intention, and this could result in the correction of all other imbalances in the body. She witnessed such results in her clinic through the use of Homoeopathy, Chinese medical acupuncture and Pranic healing. Yet, she had never come across outcomes as described above. Cell regeneration – to the extent that whole organs which had been surgically removed – could be regenerated to full functionality in those who are receptive and believe that they can control the atoms in their bodies through specific techniques, was a reality and definitely not a myth. It was mind-blowing technology, as far as Dr Hazel Wardha was concerned. As she puts it, the most exciting aspect of this methodology is that everybody can achieve positive results, not only in regard to organ regeneration, but also teeth, hair and regeneration of cells and structures, anywhere in the body, if they diligently practice the techniques and have a strong belief that this system really works. Medical doctors and scientists, who participated in this documentary, stated that they were stunned by the positive and rapid outcomes of this new technology of cell regeneration. More so, as lay people, not trained in medical or natural therapies, achieved regeneration of their surgically removed organs and teeth and recovered from chronic conditions when they used the techniques on themselves and others. Yup…these brave doctors and pioneers are quantifying and writing it and saying it in very concrete terms as part of the new Quantum medicine. No tools or machines, it’s people themselves that are regenerating cells and growing back a uterus. Remember Jesus said, “This too you shall do and more.” The people of his time did not have the sophisticated consciousness to harness the will and energies of our creator that we now have access too. 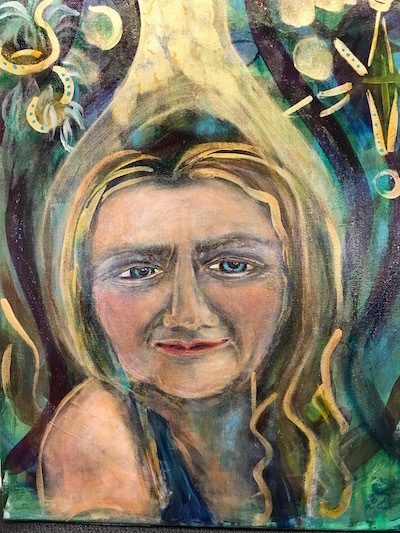 It is a very feminine form of intuitive healing as it is a process that is non-invasive, complete and can flow from our creative imagination of seeing and holding YOU as perfect. Then this blueprint is projected out towards you and through entrainment and adjustment processes the end result is….PERFECTION. For left-brainers, there ultimate techie tracking systems computerized to follow your results too! My Voice Bio system can show you how much energy you have in your body and where it’s unbalanced. Because such concepts and practices cannot be grasped, controlled and understood by a mind that holds profit, linear thinking and control as the primary goals in any objective it has been of course, not only mis-understoood but demonized by the authorities. They don’t want us to take back our power to heal ourselves. We always had this ability. We just forgot. But the Shift, the new awakening to many new ideations and initiatives and our overwhelmed and under achieving medical care system will give way to this higher truth. 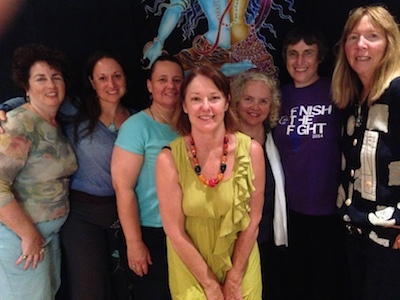 You can heal yourself when under the care of a guiding facilitator. We always thought this would come in the future. But now, we know something beyond what we could previously imagine. All is vibration and we alter it with our intention. It is our intention, will and belief system that governs everything. Everything. And the medical system has been squashing as nonsense all the new technology to monitor and prove these successes. But, as it turns out we do not need the machines to prove it as the proof is in the seeing and believing. And we are doing it. In spite of anything else. Humans will survive and thrive on this planet because of our innate goodness and resilience and ability to recognize and build from TRUTH. Now one last word…there is another simply way to stay young…just DO what you love and think about it a lot…and love a lot. Then you will not be shortening your lifespan but enhancing it by supporting good physical and emotional vibrational patterns..
excerpt via Vidya Frazier….related to Dr Hazel Wardha https://www.facebook.com/events/429149817139425/ or Email cellregen2013@gmail.com for detailsShe has been licensed to teach Dr Petrov’s work globally and is the authorized publisher of his works in English (www.aiisbooks.com). Helping Humans Celebrate their Divinity!! I would like to talk about truth. You know it when you hear it,…because you Feel it. It just “rings” (vibration) in your body. Amid the seduction, salesmanship and manipulation of almost every person, corporation and business our hearts are so hungry for truth and goodness. We are starving for a correction. It’s here. The wake-up call of humans calling out the fakes, the users and the smoozers. 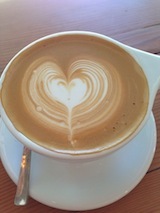 The big espresso of our times. We “see you” and you know it. It’s as simple as that. Vibrate with those qualities and principles and you will easily attract in your new co-creation tribe. Staying stuck in business practices, relationships and confused alignments and your discomfort level will just rise and rise. Truth has an actual vibration. A confirming sense. Even if I read something brand new I don’t understand, I can tell if it’s the truth and my perceptual reality hasn’t caught up yet. It’s not what the internet says is true. Or your mother. It’s your navigational sense of truth in any given moment that will guide you to the next best choice to escape illusion. Truth is our best antidote to everything….It is the WAKE Up CALL!!! 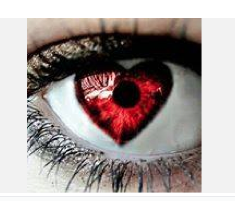 So where do we find truth?…in the eye of our heart where there can be no violation or manipulation. Our inner, pure knowing. Non-negotiable. You are free in this space to discern. To see and know truth. It is a VIBRATION of peace and reassurance when you hear it. So if you want to know how to discern truth…go into a meditation and turn off your mind. Just feel. Put the question in your heart. 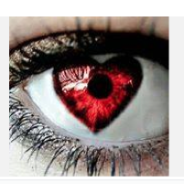 Look at the question through the eye of your heart. You will KNOW. Often people say they are amazed by the seemingly “wild” things I say at times, yet they never say it doesn’t “ring” true. I say, well if I lie I lose my Messaging Guest Pass from the creation team!! Now think of these terms…mis-truths, half truths, and how it brings up the vibration of MIS-trust, or missed trust. We cannot trust our experience if we are not based in truth. All is up for wobbly mis-undertanding, drama and mis-creation. More MISSED opportunity to drop in and work withing a deeper more nourishing reality based on actual truth. Keep thinking about this. It’s worthy of our thoughts. 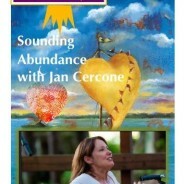 Jan Jorgensen Cercone RN, MA, CMP is a Visionary Vibrational Specialist at Soundandlighthealingarts.com. As an Author, Recording Artist, TV Host, Inspirational Workshop leader she brings the magic of how to create with Intentional Vibration alive. 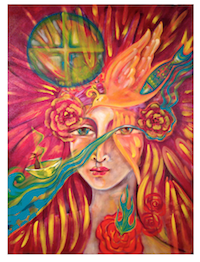 She is the Director of the Solara Quantum Healing center in Pt. Richmond, Ca and has been on National TV, Radio and Newspaper as a recognized expert on Sound Healing.